The 8th Annual BIG5 Challenge is fast approaching and the competition for podium spots is heating up with the likes of Bradley Weiss, Davide Del Fante, Dean Hopf and Theo Blignaut fighting it out over five events during the ten days of the Pick n Pay Knysna Oyster Festival between 7 and 16 July. The ladies’ competition also promises to be tight with Vicky van der Merwe and Fienie Barnard taking on the field of South Africa’s strongest and most adventurous multisport athletes. Known as ‘The Ultimate Multisport Challenge’ the BIG5 includes entries to some of South Africa’s most popular outdoor events including the Momentum Knysna Cycle Tour MTB Race and the Momentum Knysna Forest Half Marathon. The challenge also includes the Featherbed Trail Run, the MTB-X – a combination obstacle course and mountain bike route – and the Knysna Lagoon Mile Swim. ‘I am not sure if I enjoy the amazing vibe or the racing more, but this has become my favourite event every winter!’ comments Dean Hopf. If an open water swim isn’t your idea of fun, consider the BIG5Lite where the swim is optional and can be replaced by either the Harbour2Heads 11km paddle or the Momentum Cycle Tour Road race.  Don’t miss your chance for glory, Enter the BIG5 Challenge now!